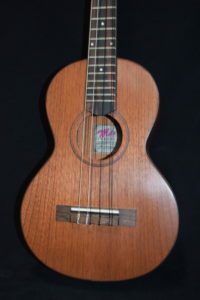 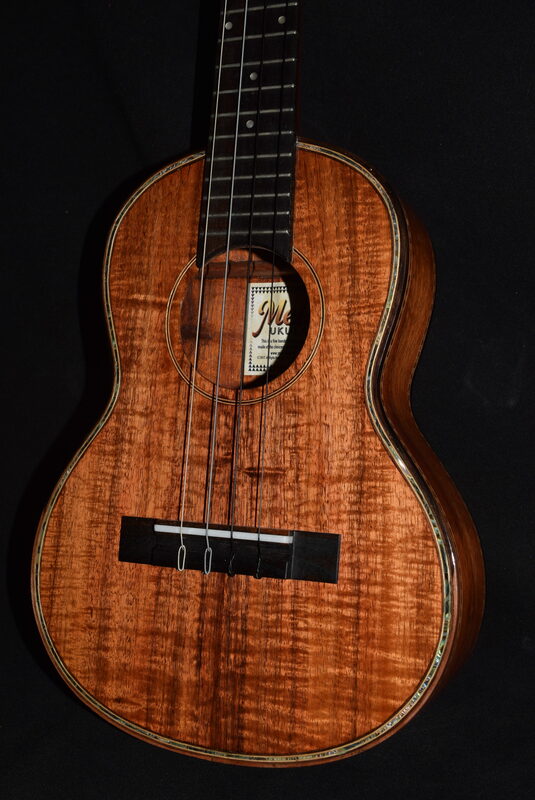 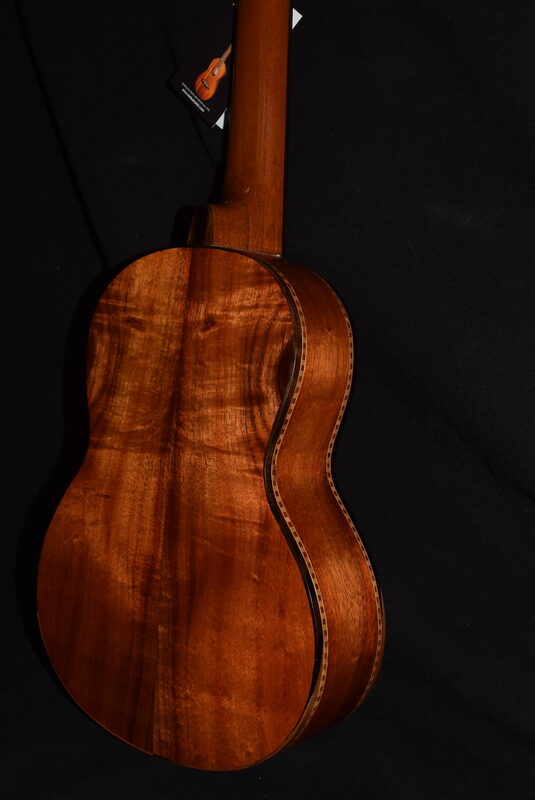 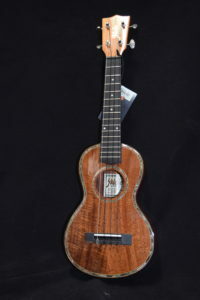 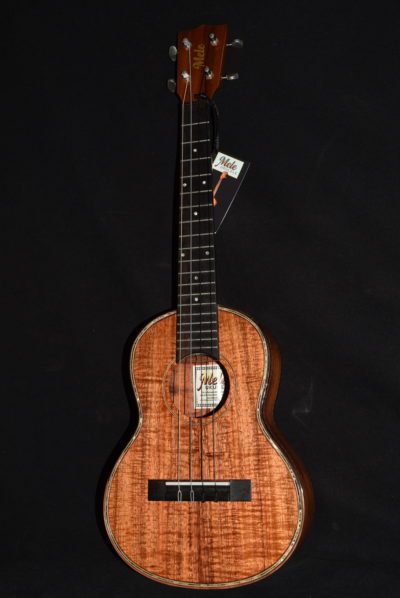 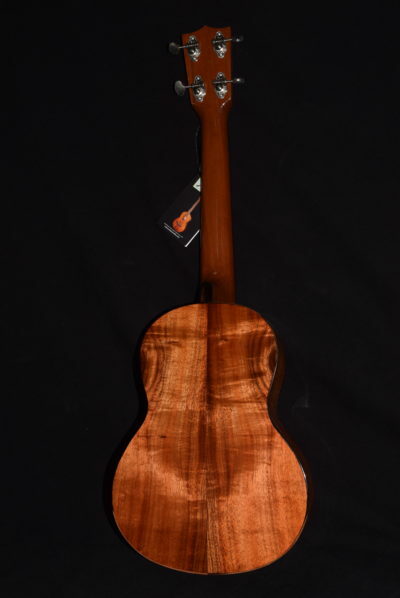 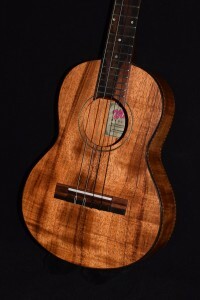 This is one of our famous Martin-style tenor ukuleles, with some really nice extras added. 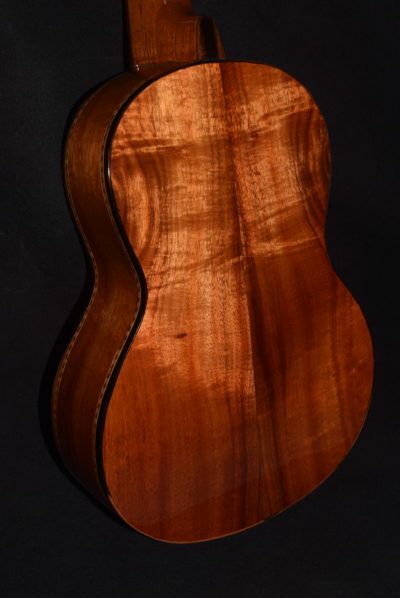 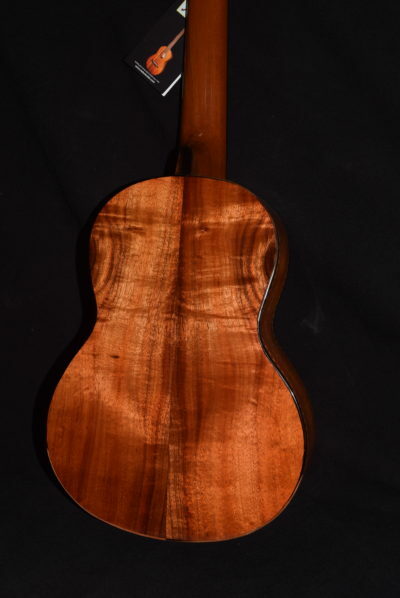 It’s got beautiful paua-shell hand inlay work around the top and soundhole, hand-inlaid ebony binding, ebony bridge and fingerboard, and a beautiful koa top polished to a high gloss to show off the wood grain. 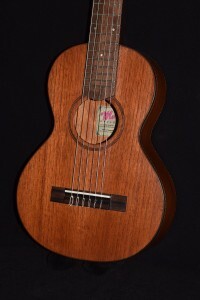 The sound is bright and punchy yet rich, full and with plenty of volume and warmth. 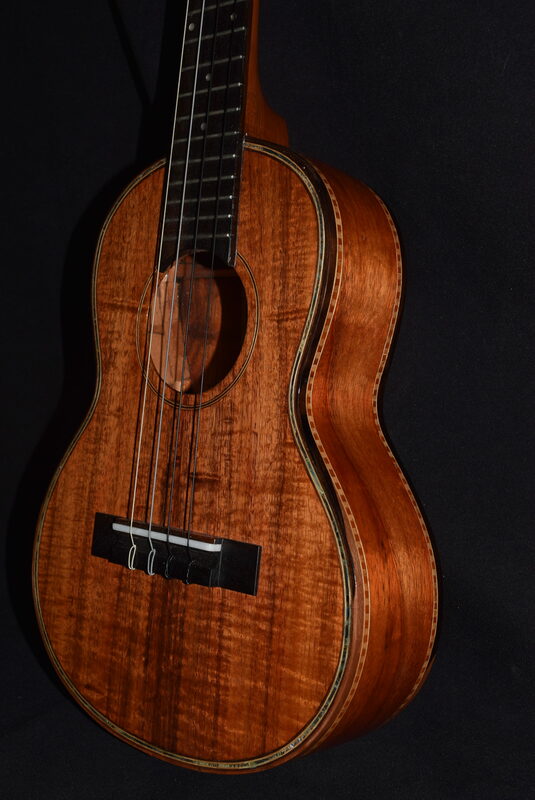 This is an instrument you can be proud to bring to a kanikapila and its sound will impress as much as its grand, luxurious appearance. 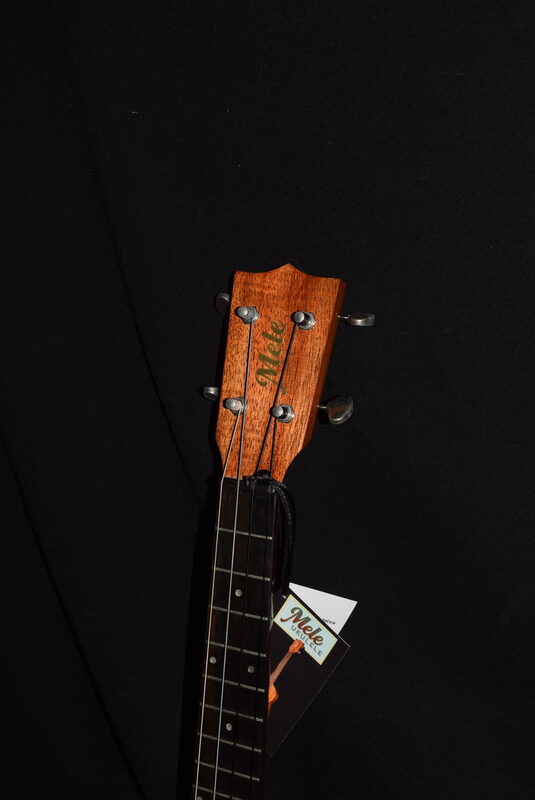 Solid mahogany neck with koa headstock overlay, 19 nickel silver frets, and a large, securely-attached ebony bridge with Corian saddle.